The goal is to streamline regulatory activities. On Wednesday, the U.S. National Space Council held their second public session since President Donald Trump revived the group in June. During the meeting, they approved four recommendations, and while these recommendations won’t change the commercial space industry in any fundamental or unsurprising way, they could streamline regulatory activities and keep national space ventures moving apace. The Council’s first approved recommendation asks the Department of Transportation to develop a better system for licensing spacecraft so that a craft can use the same license at multiple launch sites. Jeffrey Rosen, the deputy secretary of transportation, told SpaceNews that such a licensing change is already under review. The second suggests that the Office of Space Commerce and the Commercial Remote Sensing Regulatory Affairs Office be consolidated and placed in the office of the Secretary of Commerce. This recommendation also suggests arranging a new scheme to authorize missions. This system would oversee “non-traditional” commercial space activities that may not have a clear regulatory agency under the Outer Space Treaty. The final recommendation suggests that the Council’s executive secretary, Scott Pace, work to develop recommendations for export control reform by the end of 2018. The goal is to address the current system that considers a commercial spacecraft that lands in another country an export. The recommendations aren’t exactly earth-shattering – or space-shattering – and space companies won’t see big changes anytime soon. 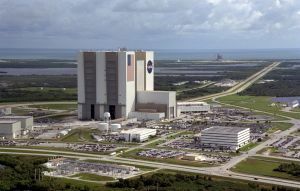 Still, the National Space Council does appear to be laying the regulatory groundwork needed to ensure the commercial space industry continues growing. This makes sense given that NASA has plans for a Moon mission in the next few years before looking to Mars and beyond.